Skip Murphy was tapped to take over and to replace “The Michael Baisden Show” when contract negotiations between Baisden and his syndicator, Cumulus Media, broke down. When that happened Cumulus turned to Reach Media to provide them with a quick solution to their problem- filling the programming void at Urban AC stations across the country. However Murphy has struggled with his more music intensive show as oppose to the news/infotainment programming that Baisden provided to listeners. Several stations decided to go with a local host/personality instead of picking up the Skip Murphy program. The thinking here is to gain back those stations and listeners with the nationally known Hughley, who besides his work in the film "The Kings of Comedy" also hosted a news/entertainment program on CNN and participated in the latest edition of ABC's 'Dancing with the Stars." 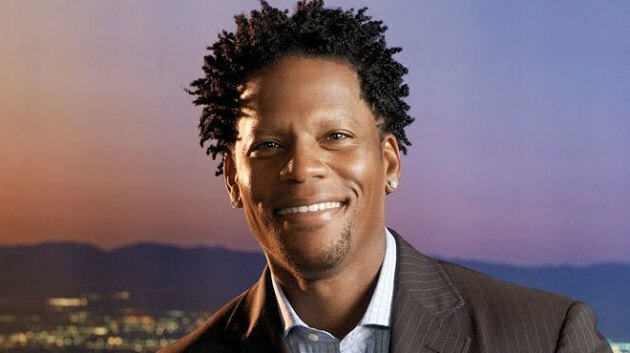 Hughley has hosted radio shows in the past as a fill-in at KJLH in Los Angeles and WPHI in Philadelphia. He was rumored to have been considered as a replacement for Baisden back in April of this year. Most recently he hosted mornings at the old 98.7 Kiss-FM in New York in 2009-2010. His co-host then was Jacque Reid. Reports say she along with DeDe McGuire are being considered as a co-host for the new D.L. Hughley afternoon show. McGuire currently host mornings on K-104 in Dallas as well as afternoons on the syndicated The Doug Banks Show. Hughley’s new show is slated to to begin in mid to late August. Reach Media is a joint syndication partnership between the company that was owned and founded by Tom Joyner (and his sons Tom, Jr. and Oscar) and Radio One, Inc.'s former subsidiary Syndication One. The company syndicates The Tom Joyner Morning Show and owns the website BlackAmericaWeb.com. @RealDLHughley DL Hughley’s New Afternoon Drive Time Syndicated Radio Show Will Be Televised! See more at: http://t.co/fX9hValwbo FOLLOW US! I love skip murphy in the afternoon , love his music,why mess up a good thing. Bring back Skip Murphy. He had better balance in music and info/entertainment. No one wants all talk during drive time. We can get that from TV. After a hard days work, I want to be mellowed with musical sounds more than debating issues that are also on all other media forms. Some debate is okay but Michael Baisden talked too much although a good guy, he was full of himself. I've never cared for DL personally. Over the years, Ive never found him to be funny at all ! Was he a last minute add on for the Kings of Comedy? His show wont be around long at all ! Some comedians aren't destined to be a radio host and DL is definitely one of them ! Pleassssssseeeeee find another career because this one ain't working !!!! !